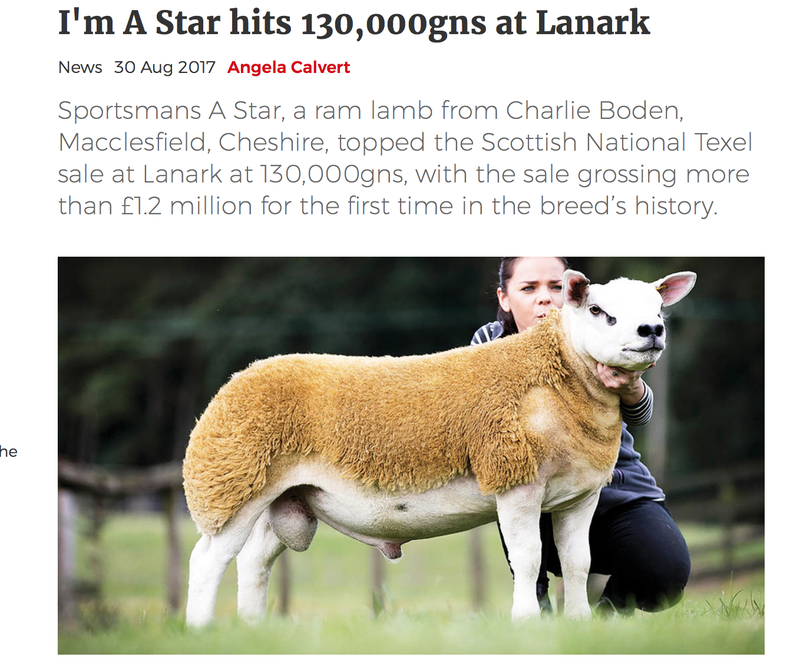 A Texel Ram has sold at auction for 130,000 guineas & a gimmer ewe (female sheep between 1st and 2nd shearing) for 7,500guineas! The day after this story was announced a campaign called Love Lamb Week was launched to tackle falling lamb consumption in the UK which now stands at 4.6kg per year – see here. This entry was posted in Dartmoor Farming and tagged Auctions, Lamb, Texel. Bookmark the permalink. Molinia. Regular weighing is the way to recording and profit!